When I was suddenly an everyday carer in 2012 there were few carers writing so little to read when searching the internet. I found the occasional blog addressing informal care or a rare review detailing wheelchair access in a major city. Nowadays there are blogs galore to discover, so many to follow on Instagram and Facebook. There are plenty of information sites from around the world regarding access including accessible activities and travel advise. Basically over the last five years I have witnessed a gargantuan Online information explosion. Carer Gateway – Resources for carers – 1800 422 737 A federal Government initiative, the Carer Gateway is a national online and phone service providing information and resources to support carers. The interactive service finder helps carers connect to local support services. Carers Australia – Resource Centre – 12% of working Australians are carers. Trying to maintain both paid work and an unpaid caring role can be stressful. Carers Australia has produced a range of downloadable documents for both employers and employees on combining work and care. 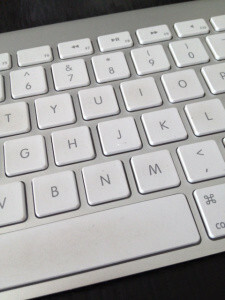 Clickability – Australian disability services. Rated. Reviewed. Reliable. Airbnb – non-discrimination policy for inclusion and respect. Accessible accommodation is listed. Airbnb is, at its core, an open community dedicated to bringing the world closer together by fostering meaningful, shared experiences amongst people from all parts of the world. Our community includes millions of people from virtually every country on the globe. It is an incredibly diverse community, drawing together individuals of different cultures, values, and norms. The Airbnb community is committed to building a world where people from every background feel welcome and respected, no matter how far they have travelled from home. This commitment rests on two foundational principles that apply both to Airbnb’s hosts and guests: inclusion and respect. The Accessible Planet – This website aim’s to become the complete guide to everything and anything accessible – for wheelchair users and those with reduced mobility. From personal experience – we understand the importance of what ‘wheelchair accessible’ involves and how sometimes it can be difficult to find. People with disability – An organisation that ensures people with disabilities in Australian society have equal rights in the community. Lovlist – A lovlist is a list of volunteers. It is a caring community where people use their skills, time and talents to help lighten the load for those they know and love. Start your lovlist today. SANE Australia – What support is available for carers? Department of Social Services, Australian Government – Carers. A new integrated plan for carer support services to better recognise, support and sustain the vital work of unpaid carers. The NDIS is being rolled out throughout Australia. This website provides information about the NDIS roll out for people with disabilities, their families and carers and service providers. Hire Up – The online platform for people with disability to find, hire and manage support workers who fit their needs and share their interests. Incharge – Our mission is to work with people to grasp the opportunity of self-direction. We do this by creating products, services and partnerships that make self-direction attractive and entirely possible to sustain into the longer term. NSWCID – Council for Intellectual Disability (CID) is a change-movement driven by people with intellectual disability. We advocate for the rights of people with disability, we provide information and learning opportunities, we empower individuals and build communities. PDCN – We assist people with a physical disability to live ordinary lives as contributing members of the community by providing opportunities for individuals to gain the information, knowledge and skills necessary to manage their own lives. PDCN is a systemic advocacy organisation seeking to influence or secure positive long-term changes that remove barriers and address discriminatory practices to ensure the collective rights and interests of people with disability are upheld. As the peak representative organisation of, and for, people with physical disability, PDCN educates, informs and assists people with disability through submissions, research and reports. All our research and findings are available to the general public. SCIA – The go to for spinal cord injuries, Australia. SpinalCure – funding research to cure spinal cord injury. ParaQuad NSW – exists to support people with a spinal cord injury to achieve their choices in life. ParaQuad provides specialised support services for people with a spinal cord injury and related physical disabilities. BrightSky – An enterprise of ParaQuad NSW, the Brightsky retail store provides the local community with access to a wide range of specialist healthcare products, such as continence, wound care, nutrition and respiratory items. Located a 6 Holker Street Newington. Membership of ParaQuad provides a monthly supply of Movicol and Microlax. The Spinal Cord Injury Network – is committed to improving recovery after injury, minimising disability and maximising quality of life. By improving communication and collaboration, the Spinal Cord Injury Network seeks to build greater capability in researching and treating spinal cord injury. Christopher and Dana Reeve Foundation – useful information regarding spinal cord Injury. I follow lots of interesting organisations on Instagram including #Accessibletravelonline #abilityadventures #accessible_indonesia and many more – too numerous to mention. It’s a wonderful reminder that the world is a can-do place! #accessibletravelclub – A group for asking questions about accessible travel anywhere in the world. This group is here to help others get through everyday day issues with spinal cord injury (SCI). We are open to any topic, as long as it remains respectful and relevant. Be friendly, be fair and use common sense. Above all – please remember that spinal cord injury has changed the lives of those in this group forever – kindness counts. Part of my coping strategy is being fully aware and knowledgeable so that I can bring good counsel to Emily when I’m asked. I can make suggestions based on facts. Ultimately I feel happier knowing we can travel widely and live well without ‘reinventing the wheel’. There’s helpful advice and sage words within the diverse and experienced community of differently-abled people and their carers and it’s accessible Online 24/7. More fabulous news for Emily as a person with quadriplegia – Sweden is blazing a trail towards a cashless society! Cards are now the main form of payment, according to Visa, and more recently, mobile phone apps have also taken off in spectacular fashion. But while a 100% cashless societies would be advantageous for many differently-abled people the changes require political decisions and advocacy from the community. I also yearn for a paperless society – one in which paper communication (written documents, mail, letters, etc.) is replaced by electronic communication and storage. A concept originated by Frederick Wilfrid Lancaster in 1978. While the notion of a paperless society has been about for decades, it’s a dream worth pursuing especially if you are a person with quadriplegia or a tree! With this amount of progressive technology – I will be posting more updates soon! I am pleased to inform you that we have referenced your organisation on our new website, lovlist.org. Lovlist is a non-profit organisation that aims to empower individuals and communities in their efforts to help others. Lovlist seeks to answer the question: How can I help? – Offers practical ways to help people in our lives who are suffering through loss, illness or other difficult circumstances. – Facilitates the sharing of ideas and information on how best to help those we seek to assist. – Provides the tools necessary for people looking to coordinate volunteers to help in times of need. – Directs users to trusted community and professional organisations, who are best placed to offer advice and services for people in need of assistance. If you would like to know more about Lovlist, or if you have any questions or concerns about links to your content, please don’t hesitate to get in touch. Thank you Lovlist for referencing Everyday Caring as a resource.